Titan Books at SDCC: William Shatner, Scott C, Exclusive Titles and more! 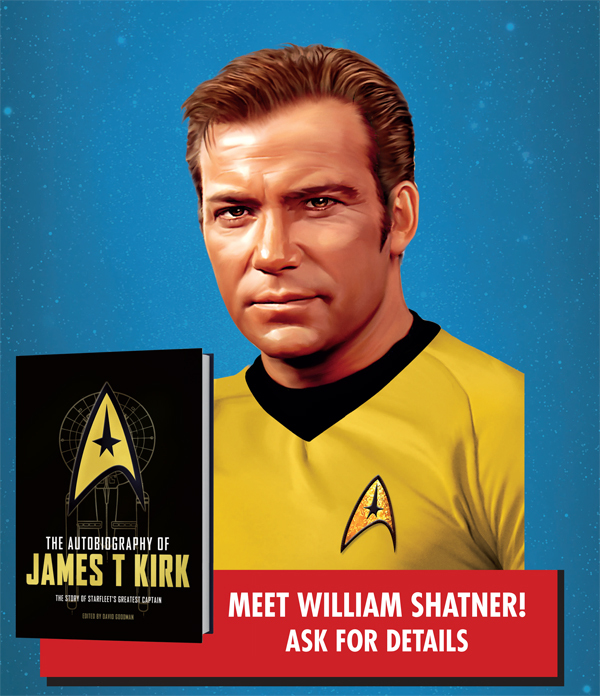 Captain Kirk himself, William Shatner, will be commanding Titan's enterprises at San Diego Comic Con 2015, on Thursday's stellar panel The Autobiography of James T. Kirk. "From cadet to captain: my life in the stars." 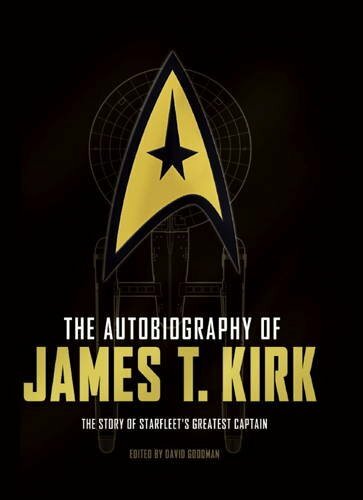 William Shatner will read from Titan's new title, The Autobiography of James T. Kirk, which chronicles the greatest Starfleet captain's life in his own words. From his youth spent on Tarsus IV, his time in the Starfleet Academy, through to his meteoric raise through the ranks of Starfleet and his illustrious career at the helm of the Enterprise. Fans will have the chance to grab a copy of the book, and have it signed by William Shatner himself! There's more! Friday 2 — 3pm will see master illustrator Scott C. host a panel, "Super Happy Hollywood" in 29AB. 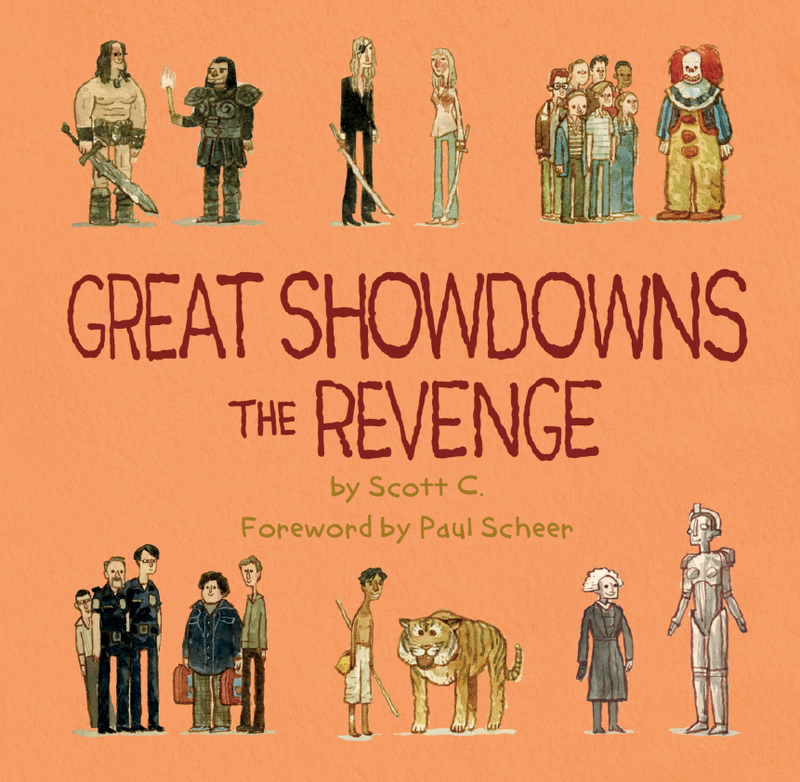 Fans will then get the chance to pick up a copy of the latest in his Great Showdowns series Great Showdowns: The Revenge, and have them signed by the author! Look out for a super-exclusive limited edition character mask giveaway at the panel. There'll also be something for the Fannibals among you, as Bryan Fuller, Hugh Dancy, Richard Armitage and Martha De Laurentiis will be signing copies of The Art and Making of Hannibal: The Television Series next to Tin Fish Restaurant at 6th Ave and L Street. Be there at 11am on Sunday! But that's not all! 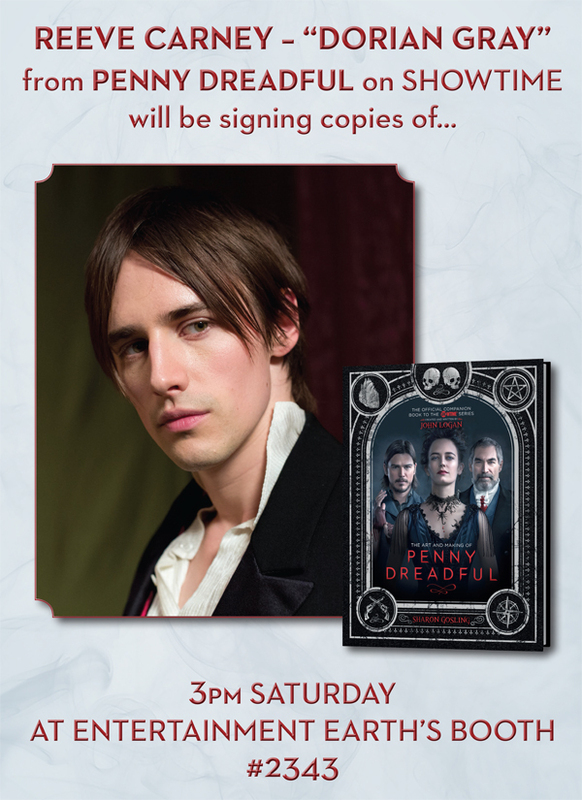 On Saturday, Penny Dreadful's Reeve Carney (Dorian Gray) will be signing copies of The Art and Making of Penny Dreadful — the ultimate guide to the making of the hit Showtime show. 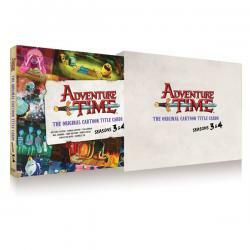 Signed by Pendleton Ward especially for Comic Con, this lavish hardback is slip-cased. This also includes a print signed by Andy Ristaino and Nick Jennings. Exclusive early release copies!! The grand finale in acclaimed artist Scott C’s hugely popular Great Showdowns series. 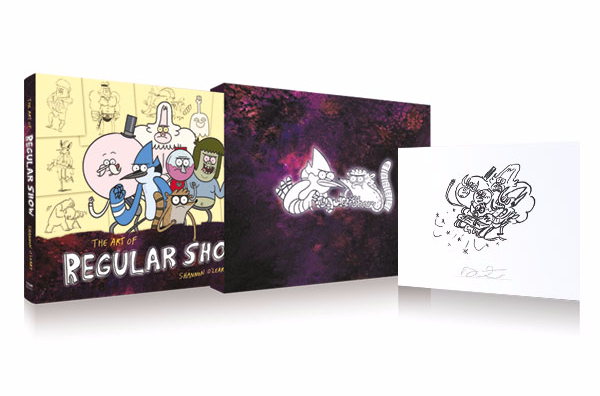 Signed by JG Quintel and presented in a gorgeous slipcase with original sketch by JG Quintel that was selected for the book by him, this is an ultra-limited collectable and a must-have for any Regular Show fan! Exclusive first availability at Comic-Con! Star Trek fans now have their chance learn the history of their favorite captain, in his own words! And we have an exclusive early printing just for Comic Con. Sunday Signing with Bryan Fuller, Hugh Dancy, Richard Armitage and Martha De Laurentiis — next to Tin Fish restaurant at 11am! Adventure Time patches to give away with our awesome Adventure Time art books! Peanuts bookmarks for our art book at the Fox booth, limited to 1,000! Signed copies of Sarah Pinborough's Fairy Tale trilogy!